Have an area that is impossible to detect using normal mono or DD coils due to EMI? The answer is the Anti-Interference coil! 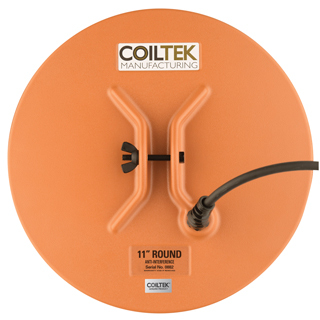 The Goldhunting Anti-Interference series of coils have been designed to cancel out the effect of external interference. This can come from power lines, electric fences and the spread of the urban areas just to name a few. 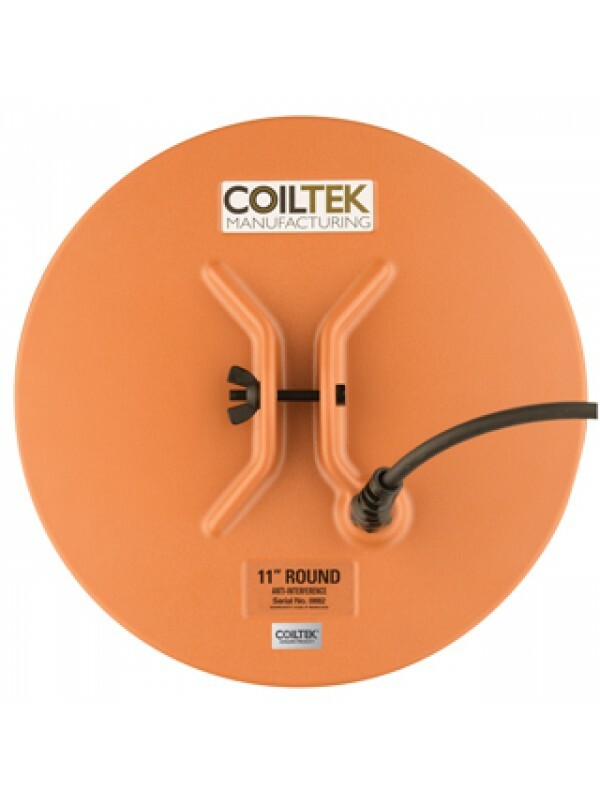 Their performance is very good compared to the similar sized DD coil and we estimate their depth ability be very slightly less than a similar sized DD coil. The sensitivity can sometimes match the DD's and therefore you can be confident when swinging an A.I.coil that you will have the chance to get the smaller targets and the larger ones. The main sensitive area of these coils is directly down the centre which is similar to the DD. Approximately 1 inch in from the tip of the coil will be the best area for pinpointing and this can help increase your target retrieval time. 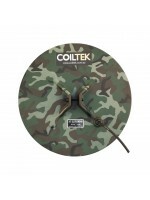 Their ability in heavy mineralised areas can sometimes become noisy as they tend to behave like a monoloop coil as they struggle with the ground change so having a slow swing will help minimise the noise. The other benefit with this coil configuration is that it will work perfectly well with the Discrimination/Iron Reject settings on the Minelab machines so they add value to your detecting experience no matter where you are. Weight: 688g / 24.2 oz.